How long will you typically wait for a website to load? 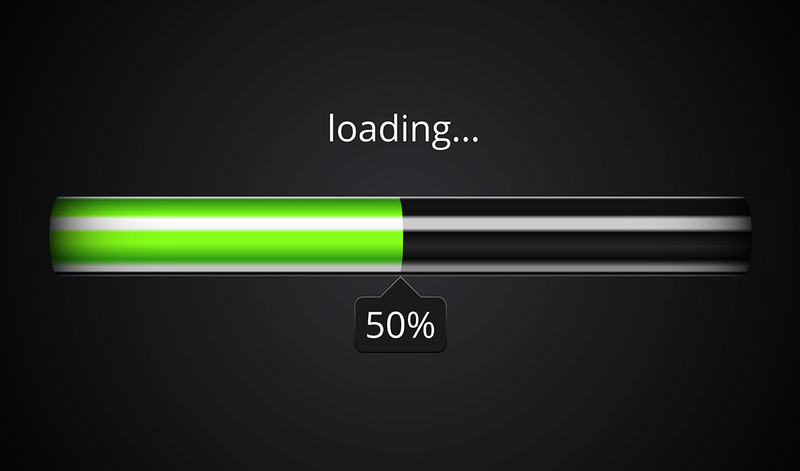 Research shows that almost 50% of internet users don’t even wait two seconds for a website to load completely. So, if you don’t want to lose opportunities to connect with prospective customers and grow your sales, it’s important that you look to improve your website page speed. Even a fraction of a second can make a huge difference. But do you know what website page speed is all about — and how to improve it? Website page speed is the time a web page takes to load or display all its content. It can also be defined as the time taken by your browser to receive the first information byte from the web server. The website page speed can be measured using Google’s PageSpeed Insights. Website page speed makes a big difference when it comes to search engine rankings, user experience, and conversions. Let’s dive deeper into 6 reasons why website page speed is important. The first touch point of your website for prospective customers is the speed at which your website loads. Your website visitors, potential customers, and readers make an instant judgement about your business. User experience and user psychology come into play here; if your website loads fast, you create a great first impression. Prospective customers consider fast websites to be reliable and professional. They relate speed to confidence, efficiency, and trust. On the other hand, a slow website makes prospective customers think that your website is unsafe. 79% of online shoppers say they won’t return to a website if they’ve had issues with the website page speed. 47% of internet users expect a business website to load in two seconds, while 40% will move to your competitors if your website takes more than three seconds to load. If you have a mobile website, the expectation is even higher: 85% of internet users expect a mobile website to load faster than the desktop version of the website. When it comes to websites with a high-authority such as Facebook or Google, internet users are willing to wait a little longer. Unfortunately, small and midsize businesses don’t have that luxury. An impactful UX design is all about creating a simple and interactive experience for your prospective customers. Providing prospective customers with what they need — quickly — is critical to enhancing the overall user experience. Let’s say 50,000 people visit your site each month. Based on the stat above that 40% of prospective customers will abandon a website that takes more than three seconds to load, you could lose 20,000 prospective customers if you have a slow site. And slow speed is not just driving prospective customers away, it’s driving sales away, too. Slow website speed not only leads to revenue loss, it hinders your organic growth and word-of-mouth. Your customers will gradually stop referring your products or services to others because of a negative user experience. Plus, websites with high-authority are less likely to link back to your content. Your customers may not even sign up for your email list. A slow website is typically associated with a lack of credibility and reliability, which may hurt your business in the future. Google loves speed. They’re on a mission to make the internet faster than ever before, easily accessible, and useful. So far, they’re doing an excellent job. When ranking websites, Google does take website page speed into account. Right now, this factor is not as significant as other factors when it comes to ranking websites. At present, less than 1% of search queries are impacted by website speed. While websites with an average speed won’t see much change in their Google rankings, if your site is very slow, your chances of ranking high in the search results may go down. Need help with your website page speed? There are solutions! Let’s talk.